and the rain upon them is ever pouring. and from them, ignorance has fallen. with verses, and with Dhikr. Last week (21st January) I was blessed to attend an event of Dhikr with the Qadiri Boutchichi Tariqa. It was organized by Spiritual Dialogue Society of SOAS (School of Oriental and African Studies) which invited representatives from the Qadiri Boutchichi Sufis to present an evening of Moroccan Qasaaid (Qasida, spiritual poetry) and Dhikr to the interested audience. The event was held at one of the galleries of the university and was open for public. Clearly there were participants who came because they are associated with the Tariqa, others came to simply enjoy the remembrance. The evening included Sufi Chants, an Introduction to Sufism, Talk, a chance for Questions/Answers, and Dhikr (invocation). The evening was an opportunity for Muslims and non-Muslims to experience something of the inner dimensions of Islam, hear sufi poetry sung traditionally, and to present any questions about the Boutchichi tariqa, and Sufism in general. The Qasaaid or the Spiritual Poetry sung in Moroccan style is quite unique and was followed by traditional Sufi Dhikr. Since in Sufi Dhikr the invocation of God's powerful holy Names and its chanting can throw people in deep ecstasy where one may lose the sense of one's outerself, often time to protect the dignity of individual seekers, men and women sit in separate circle. Many advanced seekers in these gatherings are inwardly very ecstatic and outwardly sober. These dhikrs can at times bring out the inward ecstasy and such can happen to any one. This is one of the wisdom behind why in such circles of remembrance, men and women sits separately. This is also to preserve the energy of attention and concentration. In this particular dhikr, in the beginning of Qasaaid recitation men and women sat together, but when it came to Dhikr, men moved to a new room. The Dhikr in the men's section which I experienced, was quite intense and at the end the teacher who was leading the Dhikr, Sidi Abbas, a senior Murid of the Present Shaykh, acknowledged the fact that even though it was a public event and many who participated where not necessarily from the Sufi group, yet it felt exactly like "Home". I also felt that many who came was really enjoyed, gave themselves into the Dhikr and was absorbed by it. This is what Sidi Abbas said at the end of the Dhikr (quoting partially), "... we just felt that the hearts are connected, Alhamdulillah. We are so overcome with these spiritual connections, we praise Allah Subhanuwatala, we are thankful to Allah that He gathered us tonight and made it possible to meet and enjoy this moment of Dhikr. We were just like home, this is exactly how we do it every two, three times a week we meet, and this is exactly how we do it, Subhan'Allah. May Allah bless you all, may Allah accept us all, may Allah keep us always connected. Anyone who wants to come to meet and come to attend our gatherings, is very welcome. The doors are open. This is the Rahma (loving compassion) of Allah, Glory be unto Him and it does not belong to anybody. There is no name, there is no kind of Qadiri, Chishti. There is only Allah and the way of Sayyidina Muhammad Rasulullah." WATCH clips from the Event | .. Click here to watch a video Clip from the event. To know GOD is without limit. Every step of the journey is hence more beautiful and marvellous than the previous one. Wisdom is in the heart. He who wants to find water in his well must dig. The deeper he digs, the more abundant the water; if he stops digging, the water will not exceed the initial level. He who digs this well should not say, or believe, that all the water has reached its highest level; he must continue to dig; for this well has no limit. 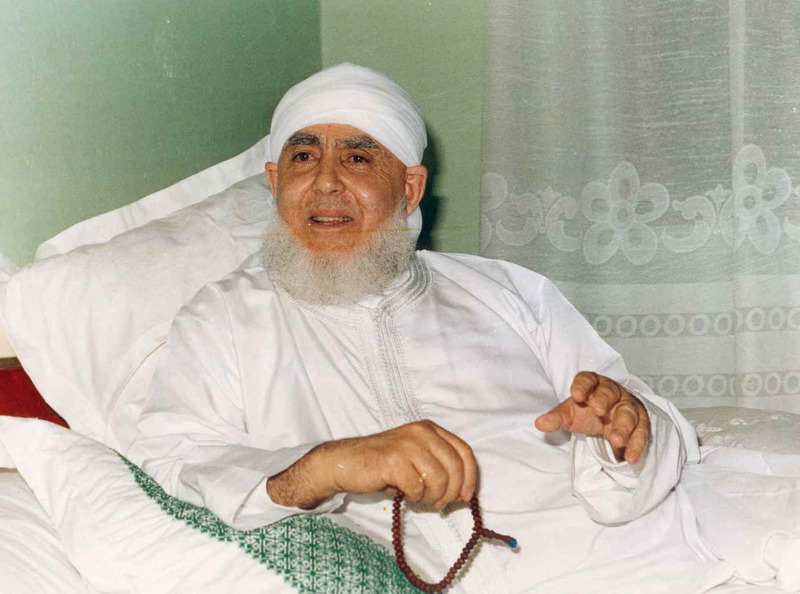 The Qadiri Boutchichi Sufi Order has its root in Morocco where the present day Shaykh of the order, Sheikh Sidi Hamza al Qadiri al Boutchichi resides. Sidi Hamza is considered by many as an authentic Sufi Shaykh and living Spiritual Pole of the time. What makes this Tariqah quite unique is that Sheikh Sidi Hamza, Sheikh Sidi Al Abbas, Sheikh Sidi Abu Madyan (the Sheikh before Sheikh Sidi Al Abbas) were all descendants of the well-known Sufi Master Sheikh Abdul Qadir Jilani (1077-1166), who himself was a descendant of Prophet Muhammad (blessings and peace of Allah be upon him), by his grandsons Hassan and Hussien ibn al Imam Ali ibn Abu Talib (may Allah bless them and be well pleased with them). The Tariqah al Qadiri al Budshishi is considered considered as a (Baraka) blessing from the Arif Bi’llah, (The knower of Allah), the teacher by the Idhn (permission) of the Messenger of Allah (S), our great grandfather, Maulana Shaykh Abdul Qadir al Jilani, may Allah bless him and let us benefit from his Baraka. Tariqah al-Qadiri al-Budshishi-of Shaykh Sidi Hamza Introduces the new era of Sufism based on flexibility, love and beauty. It is easier to follow now than before but this does not mean that it has lost its value. The addition of flexibility to spiritual education has attracted the hearts of disciples from all over the world. Today, Sufis are more integrated into their social lives. They can enjoy the Sufi experience without it affecting their social rhythm or losing their social identities. Tariqa Qadiriyya Budshishiyya is a school where the master educates and elevates the seekers (Murids) to high stages of gnosis and appropriate stations of mysticism, promotes them in the Divine Love, and helps them to rise above their ego (Nafs) by means of Invocation (Dhikr), Love (Mahabba) and Companionship (Suhba). 1. The khalwat -Retreat of the Sufi is inside the heart (al khalwat fi al-qalb). 2. The path is based on ‘beautification then detachment’ (at-takhliya ba’da at-tahliya). 3. The New direction or orientation (Tawwajjuh) to sufism has changed from majestic Jalal to beautiful Jamal. 6. Today the spiritual master is looking without condition for new disciples. >> Continue to read in details. SOAS Spiritual Dialogue Society is a student society that aims to educate and share the many spiritual paths that are present today, it seeks to bring people together to discuss and share the spiritual ways, in particular focusing on the spiritual aspects of Islam. It strive to allow people who are on a spiritual journey who are looking or searching for enlightenment, for us to share love, light and knowledge. Or for those who are interested in Spirituality. The society is quite active and organize events on a regular basis. To know more about their upcoming events (including Sufi Dhikr of various Sufi Order / Turuq) and other spiritual traditions, you may visit / join their Facebook group. > You may email the Society and request to be on their list to be noticed for future events. > Also get updated via their Facebook group. Shaykh Babikir Ahmed Babikir has been actively involved in Dawah in the UK since the 7O's. He is currently the Imam of Yusuf Islam's Islamia School. He studied the Islamic Sciences in Sudan under Shaykh Fatih Qaribullah (rahimah-ullah). Shaykh Babikir continues his daw'ah circle every Saturday night in London, which began at Regents Street Mosque and now takes place at Cricklewood mosque. For many years the Shaykh has been actively helping the poor and needy in his native Sudan. In 2004 the Shaykh decided to start the work in an official capacity hence Ulfa Aid was founded. He is currently the chairman of Ulfa Aid which is an international Relief Agency helping the poor and needy around the world. SOAS Spiritual Dialogue Society invites to join for a night of Islamic Chanting, Sufi Sounds, and the gathering of soulful souls. Special Guest Also include: Somali Nasheeds from Shaykh Shaa’ir. A meditation on the themes of love of the Prophet, veneration of holy sites, grace and symbolism. This film tells the story of the meeting between the Prophet Muhammad (Peace and Blessings be upon Him) and a Christian monk named Bahira. The meeting happened in the shade of a tree. Fourteen hundred years later that same tree was discovered still alive in the northern deserts of Jordan. The only tree alive in hundreds of square miles of emptiness. This tree is a link to the life of the Prophet and a place of pilgrimage today.